Here’s a quick little project I found myself making just the other night. I’ve been busy block printing and sewing lately. (BTW, look for new items in the shop soon, yay). I got tired of running upstairs everytime I needed to press a seam. Pressing (or ironing) is that extra something that takes your sewing project from just ‘good’ to great. As a bonus, I knew that having a nice large surface would also come in really handy for hand-printing my fabrics. 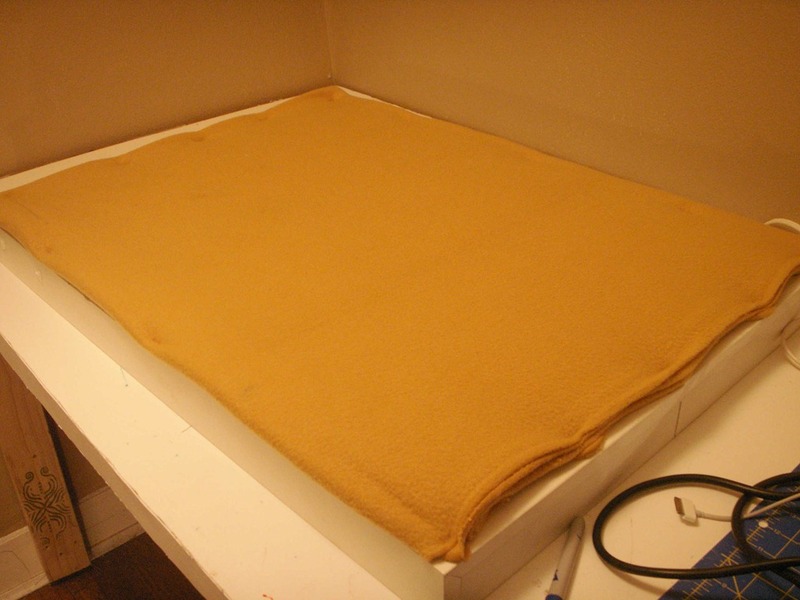 I set out to make a pressing surface. 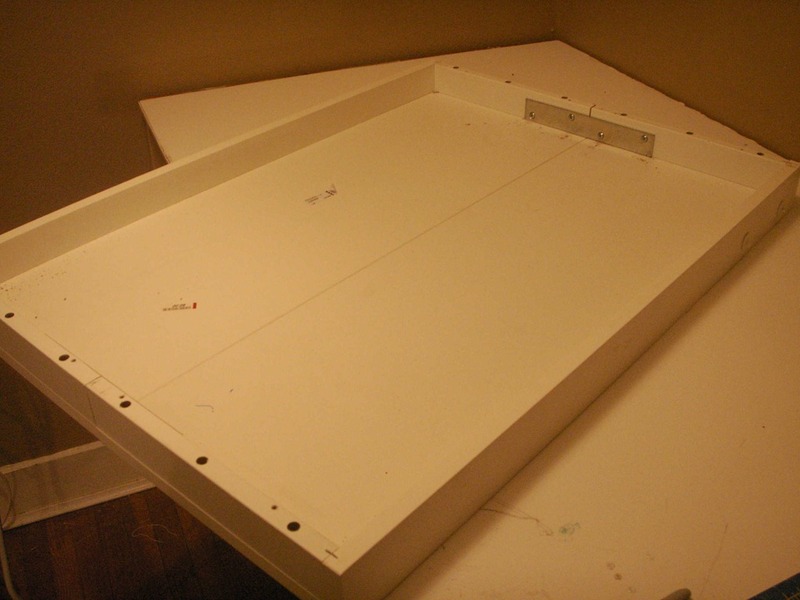 I remembered the two keyboard drawers I had purchased for $2 each at Ikea about a year ago. Gotta love the As-Is room! I think those went with the Billy system, I’m not sure. I had originally purchased them to use as craft show displays, but that never really panned out and I have been storing them ever since. I even came close to throwing them away a couple of times, but thank goodness I didn’t! 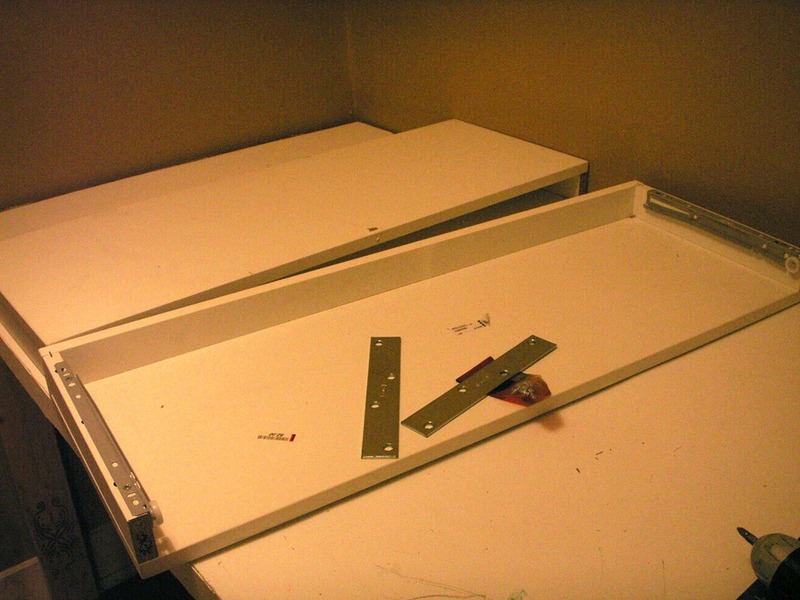 So here are drawers with the drawer slides still attached to their undersides. 3. Then covered with a piece of fabric. and Presto! I now have an ironing surface that I can lay onto the table when needed, and move out of the way when finished. No more running upstairs! The whole surface is just under 2’ x 4’ which is really substantial for my needs, yay! The only thing I think it may need is a handle on one side for an easier grip. Since I made this a few days ago, I’ve already gotten a lot of use out of it. 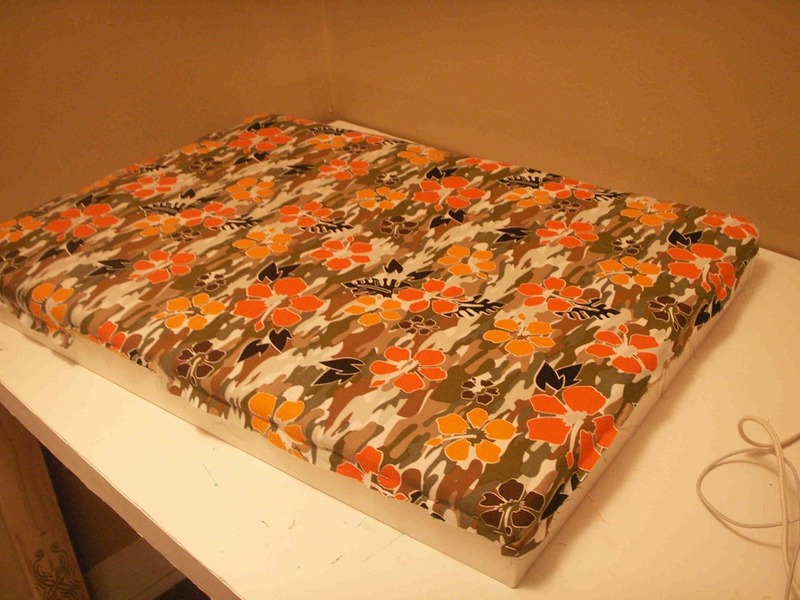 It is both a printing (block printing fabrics) and an ironing surface. I realize that not everyone will just happen to have keyboard drawers lying around. I think it would still be pretty easy to DIY with some 1×2 boards and some plywood, no? This is a wonderful idea! I don’t like lugging the big board out to the kitchen when I want to sew and my hubs is killing aliens on the computer in our shared space 🙂 This is the answer – now I have to get the hubs off the vid game to help me. haha. Thanks so much! Thank you so much for visiting! I’m always so happy when someone finds my insane ramblings helpful.I totally relate, I have to peel my hubs away from his zombie killing and ninja fighting to get anything done around here 🙂 I will definitely be stopping by BeBetsy!